We need docs writers and translators! Can you help? Since this was just a test, some of the links inside the tutorials might not work. With your help, we will fix it! This was our announcement about using Gitbook as the tool for our documentation, and it's good that we can now leverage this tool to create other styles of documentation, like the ReadTheDocs style! 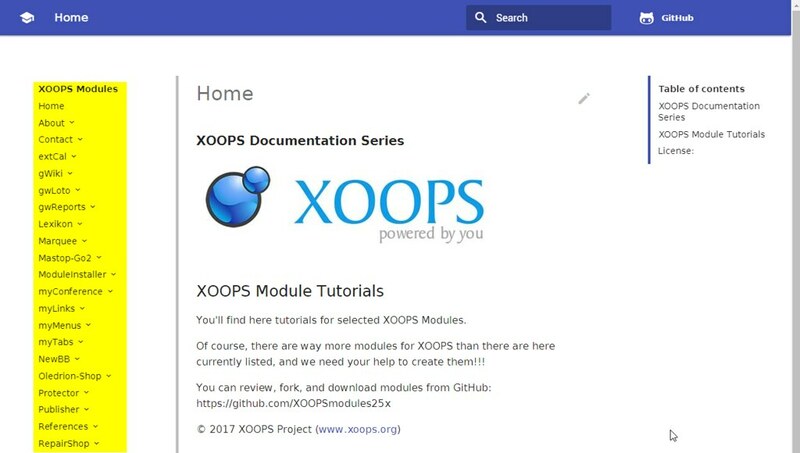 We hope that once you realize how easy it is to contribute, you'll help us to make XOOPS Documentation really shine!!! Thank you Michael, this looks awesome and is really helpful!